Buying a new car is one activity fraught with a lot of stress where high-pressure sales tactics, slogs between dealers, and haggling over prices do nothing but add more disgruntlement to the experience. Our business showcase for the week, Tred.com, guarantees you “the best car-buying experience you’ve ever had, and the lowest car prices,” and they claim it will take no more than 60-90 minutes of your time, all done from the comfort of your home. Backed by Rick Wagoner, the ex-GM CEO, Tred.com offers fee-based test drives to give car shoppers a behind-the-wheel experience for up to two cars at a time, delivered by Tred Experts. These car experts are purposefully incentivized to ensure customers have a great experience – not to sell cars, since Tred does not collect a percentage of car sales, but to help customers make informed decisions based on their unbiased opinions. Car dealers are also incentivized to partner with Tred, so they are able to offer customers the lowest possible no-haggle price – a service Tred is so sure of that they will mail customers a check for $500 if they find a lower price elsewhere. 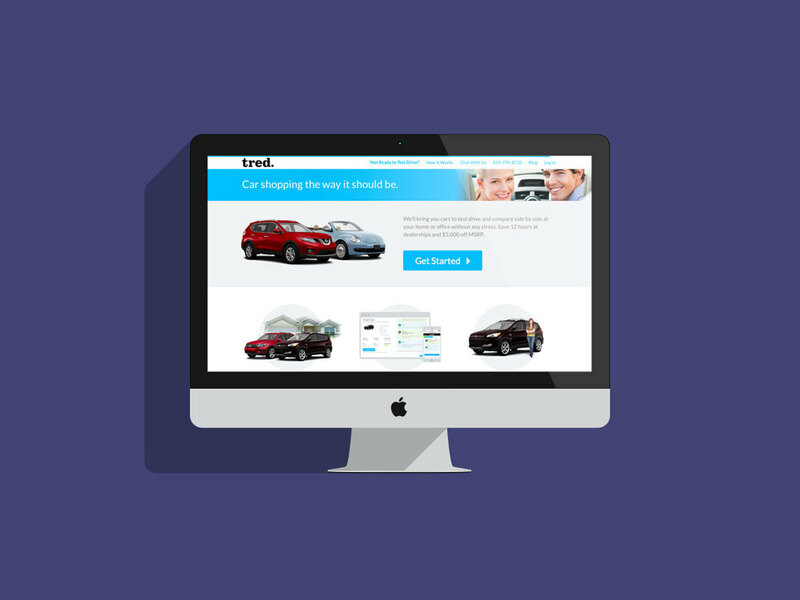 One of the more nifty features of Tred’s service is the “deal screen”, which is an innovative way to connect prospective car-buyers with car dealerships anonymously through Tred Talk – their online portal, to discuss options such as financing, trade-ins or a lease. This part of the service eliminates the need for car shoppers to visit dealerships, giving them the freedom to shop for cars from the convenience of their homes or offices. As we write this, Tred is only operational in Seattle, and charges customers $19 for each test drive delivered. The service is free for electric and hybrid cars, though, if you wish to Tred Lightly. Tred is also delving into the business of picking and dropping cars for anyone who would like to save a trip to the workshop and provides a loaner car of their choice that they can use in the meantime, all for a small fee, also delivered by Tred.